The beginning of the new year is typically a reason to get started on a new diet. This year’s ongoing trend is the Keto Diet. 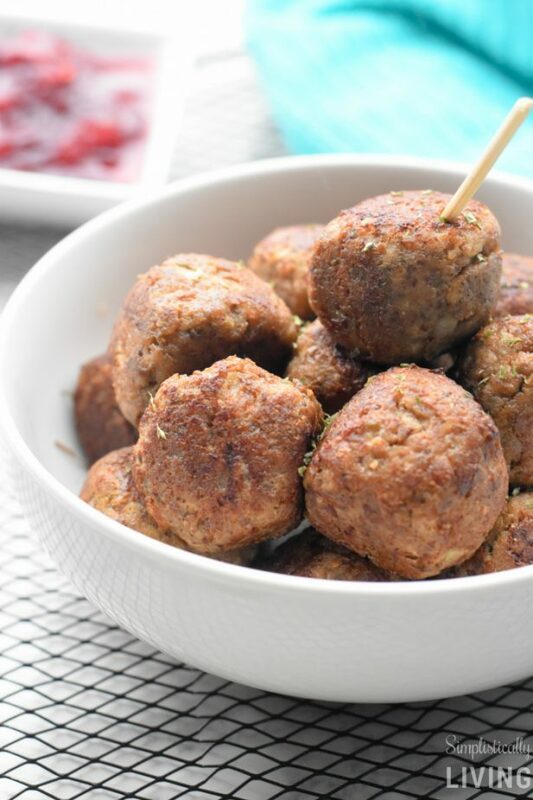 If you’re looking for delicious and simple Keto recipes, you are going to love these Keto Turkey Meatballs. My husband Brandon and I have decided that in the new year we would set goals and crush them. Our top goal: to live a healthier lifestyle. We have heard so much about the success of others losing weight, gaining energy and being overall much healthier while on the Keto diet so, we thought we’d give it a try. So, here we are, our first Keto friendly recipe. I’ll admit these are SO much better than I expected. I don’t know about you, but I feel like a lot of the diet friendly foods are bland and boring. Some even have a weird aftertaste. I love food so much that it has to taste good for me to eat it. Otherwise, it just makes me sad. So, if you’re looking for a great tasting and simple Keto friendly recipe to start with, this is it! The Keto Diet is a very low-carb, high-fat diet that is a lot like the Atkins and other low-carb diets. It involves drastically reducing carbohydrate intake and replacing it with fat. This reduction in carbs puts your body into a metabolic state called ketosis. So in short, it’s a low-carb, high-fat diet. 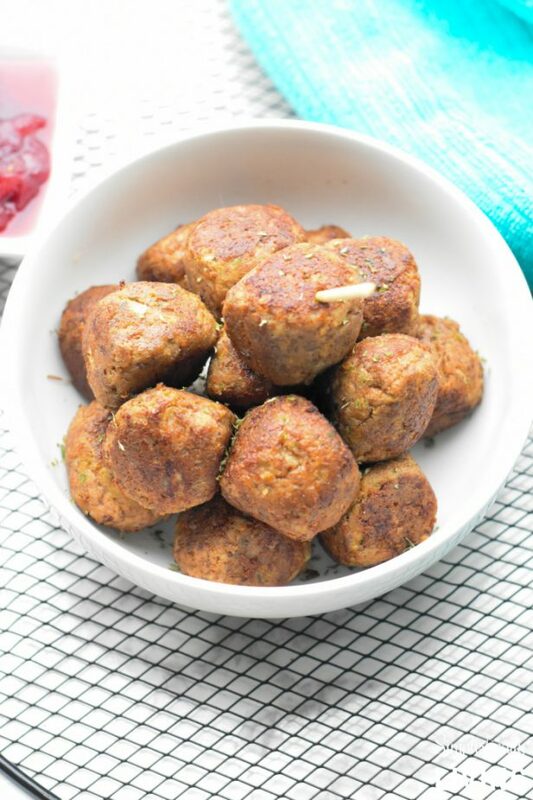 What makes these different than other meatball recipes? When my husband and I started to look into the Keto diet, we looked into everyday recipes that we love. One of them being meatballs. Traditional meatball recipes call for breadcrumbs and beef (hamburger meat). While you can eat beef on the keto diet, breadcrumbs are a no go. We decided to swap the beef for turkey (a leaner meat option) and swap the breadcrumbs for flaxseed which is a bit of a power food. 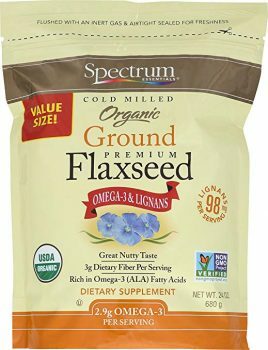 Flaxseed is a seed from the plant Linum usitatissimum. The seed or the seed oil is used to make medicine. Flaxseed can be purchased at just about any health foods store. You want to get one that says “Organic Ground Flaxseed” otherwise you will end up buying the whole seeds and it won’t work for this recipe. Does the Flaxseed have a distinct taste? Flaxseed has more of a nutty flavor than a bread flavor. However, if you are already used to the change of taste with Keto, you will find this recipe quite delicious. 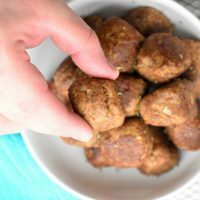 Is the consistency of these meatballs different? Yes! Again, you are not using breadcrumbs which is what traditional meatballs use. They serve as the “binder” for keeping the meat held together. Ground Flaxseed is more fine and more like a powder texture than breadcrumbs which are hard and crunchy. 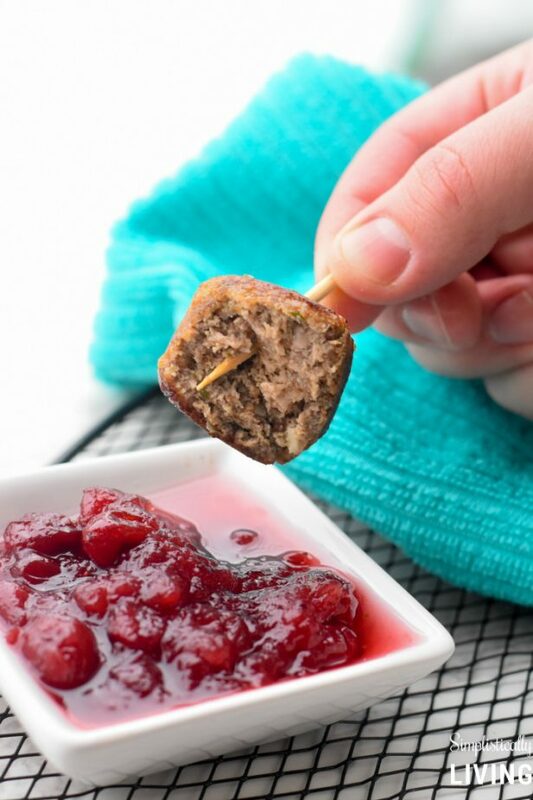 Because of this, the texture of the cooked meatballs is a little different. But, don’t worry! These still taste great, they will just be a softer texture than you may be used to. You will also need a pan to cook these in. We used our Tasty Induction Cooker but you can get one for even cheaper that will work just as well, here. Once you have all your ingredients, check out the full recipe below! Enjoy! Start heating your skillet to medium-high. In the meantime, dice your onions and garlic. Place your turkey meat, flaxseed, egg, salt, pepper, onions, garlic and parsley into a large bow. Take your hands and form 2-inch balls with the mixture. You can place these onto a plate or place directly into the pan once heated and olive oil is placed (see step below). Drizzle in some olive oil into your skillet. Place your meatballs into the pan and sear on each side for 2-3 minutes. 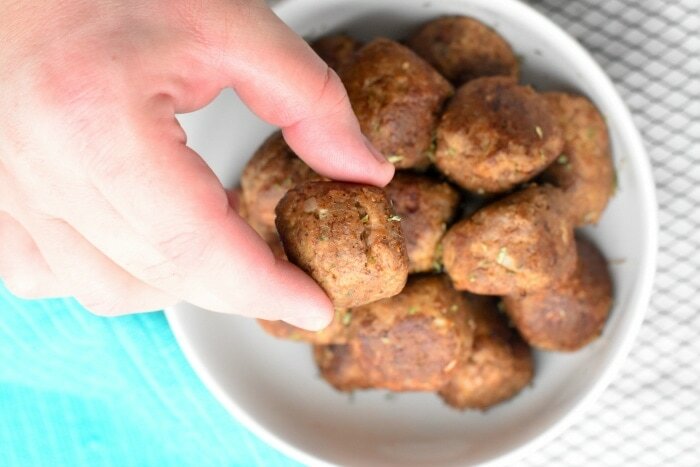 You want to constantly turn your meatballs so they can cook evenly. After about 10 minutes, remove them from the pan and cut into one to ensure they are thoroughly cooked. 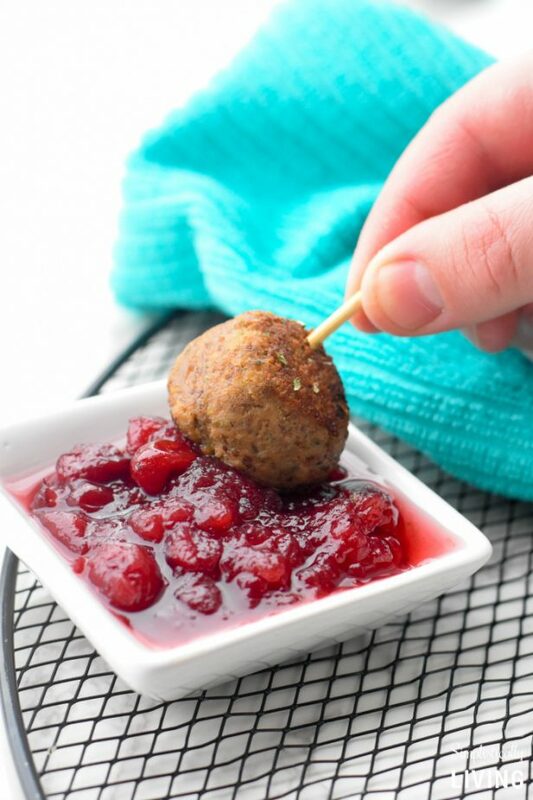 Serve up with some cranberry sauce and enjoy! 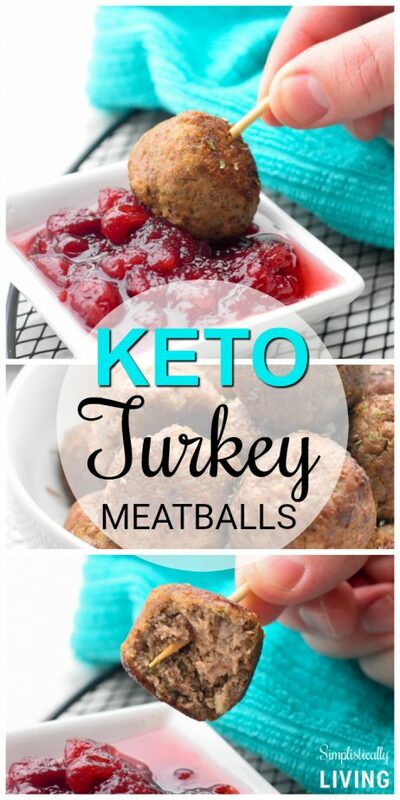 Filed Under: Featured, Lunch, Recipes Tagged With: keto, keto meatballs, keto recipe, keto turkey, keto turkey meatballs, what is keto?